Walking one evening while we were in Kyoto we manage to see a wonderful sunset which I didn’t get but the pink across the sky was visible for a good while. Walking in the Higashiyama hill area is a delight at this time in the early summer. There were no more crowds but the small stores were closing up. The old streets take you back and the setting sun cast shadows and lanterns turn on. Truly a great time for a walk. 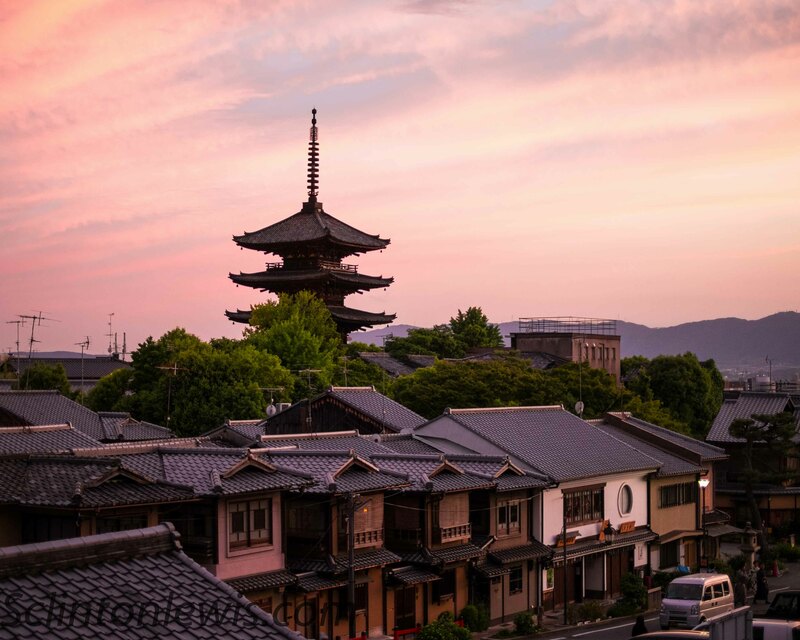 This entry was posted in fujifilm, japan, xpro-1 and tagged fuji, golden hour, japan, kyoto. Bookmark the permalink. It was the golden hour up at Big Meadows in Shenandoah National Park when we took our walk in the meadows. The sun was setting and there was no more light about ten minutes after this photograph was taken. I took it on my Fujica AX-3 with a 50mm f1.6 lens at 1.6 with Velvia 50 film. This entry was posted in film, Fujica ax3, fujifilm, mountains, nature, velvia and tagged film, golden hour, mountains, velvia. Bookmark the permalink.